Our creative and multi-talented intern Virgie Pickering preached on January 30 (sermon audio will be posted in due course). Not only that, but for the occasion, she wrote a new hymn text (her first effort in the genre). We sang it with great pleasure and share it here with Virgie’s permission. You can sing along to the tune BEACH SPRING with the YouTube below! taking on our pain and strife. reaching out to give us life! Love cannot stand idly by. making hearts, once fearful, brave. open wide and clear our eyes. Hears the helpless as they cry. Adult Study Class (English): Wisdom of the Enneagram. The class will be meeting after church to explore the Enneagram, a powerful tool for spiritual development. 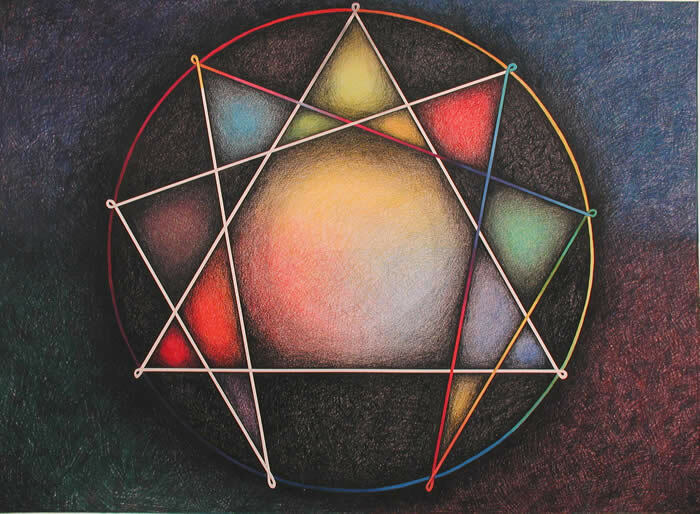 The Enneagram is a personality typology with ancient roots in the Muslim and Jewish mystic traditions. All are welcome! Please contact Virgie Pickering (virgie@immanuelpres.org) with any questions. Presbyterians in action: Virgie Pickering et al. Congrats to Intern Virgie Pickering! She advanced to candidacy at Tuesday’s presbytery meeting. Immanuel was well represented – Elder David Mass hosted on behalf of SFTS, Elders William Baxa and Brian Symonds served as Immanuel’s commissioners, members Maria Rivas and Francisco Perez attended, along with Rev. Elizabeth Gibbs Zehnder and Rev. Catherine Hughes. ¡Felicitaciones a la interna Virgie Pickering! Fue avanzada a candidatura durante la última reunión del presbiterio. Immanuel fue bien representada – Anciano David Mass hospedado de parte del SFTS, Ancianos William Baxa y Brian Symonds sirvieron como los comisarios de Immanuel, Maria Rivas y Francisco Perez, miembros asistieron, junto con la Rev. Elizabeth Gibbs Zehnder y la Rev. Catherine Hughes. I grew up near L.A. City College, where I almost finished an A.A. (but did not want to take PE). I transferred to Whitworth University in Spokane, WA (where I had to take PE anyway) and graduated in 2005 with a B.A. in Theology. 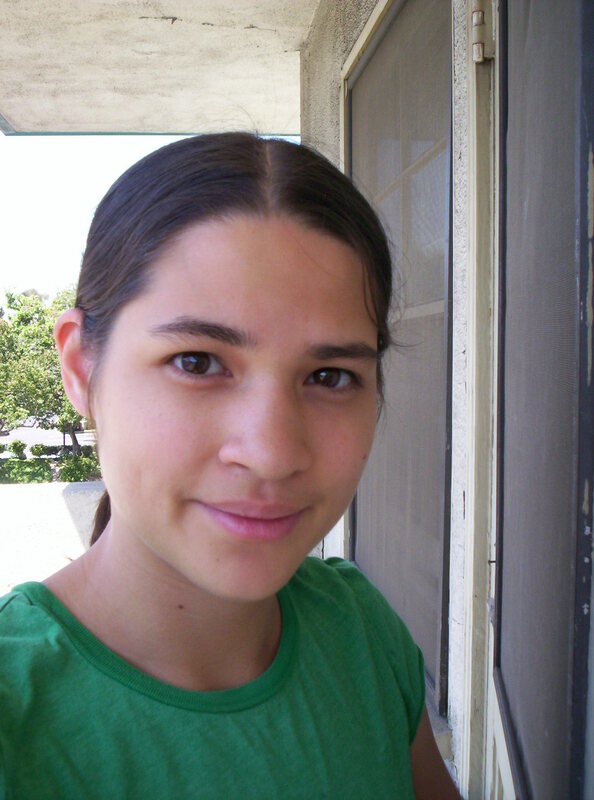 After college, I totaled my car on the freeway, took a job placating irate customers at a call center, got married, moved to Boston, worked at a group home for psychologically traumatized children, and then in 2008 moved back to L.A. to begin the M.Div. program at Fuller Theological Seminary in Pasadena. Some random factoids: my hobbies include tree identification, painting, and creative writing (fiction, poetry, blogging). My husband (Brandon) is a credit counselor (feel free to approach him if you or someone you know has credit problems). My Spanish skills are unfortunately limited, but I would be delighted if you help me practice! I look forward to being part of the Immanuel community! Crecí cerca del L.A. City College, donde casi termine un A.A. (pero no casi tomar Educación Física). Transferí a la Universidad Whitworth en Spokane, WA (donde de todos modos tuve que tomar Educación Física) y gradué en 2005 con un B.A. en Teología. Después del colegio, destruí mi carro en la autopista, tome un trabajo aplacando clientes irados en un centro de llamadas, me case, me traslade a Boston, trabajando en una institución de niños/as traumados psicológicamente, y después en 2008 me traslade a L.A. para comenzar el programa de M. Div. en el Seminario Teológico Fuller en Pasadena. Algunos anecdóticos aleatorio: mis pasatiempos incluyen la identificación de arboles, pintura, y escritura creativa (ficción, poesía, bloguear). Mi esposo (Brandon) es un consejero de crédito (no dudes en comunicarte con él si tu otros tienen problemas de crédito.) ¡Lamentablemente mis habilidades lingüísticas en español son limitadas, pero estaré encantado si me ayudaran a practicar! ¡Espero ser parte de la comunidad de Immanuel!